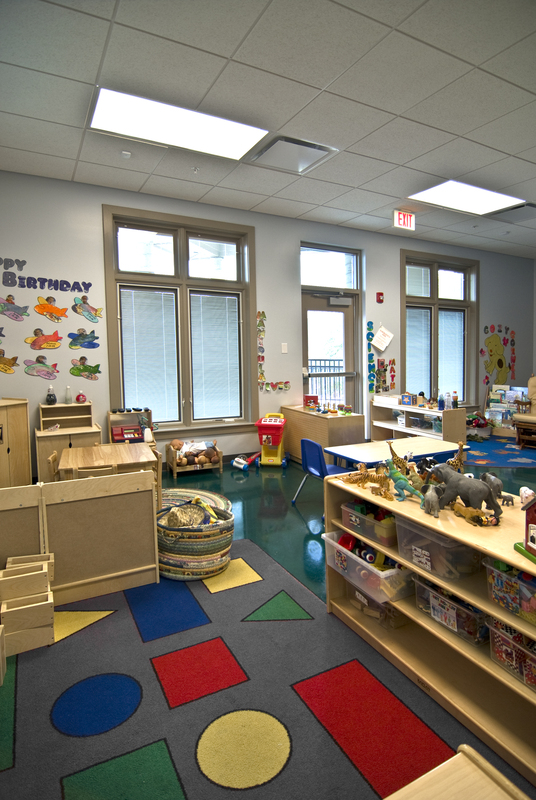 Thompson’s new Child Development Center is a $6.5 million, 24,000 square foot facility designed to serve students ranging from new born to age 5. 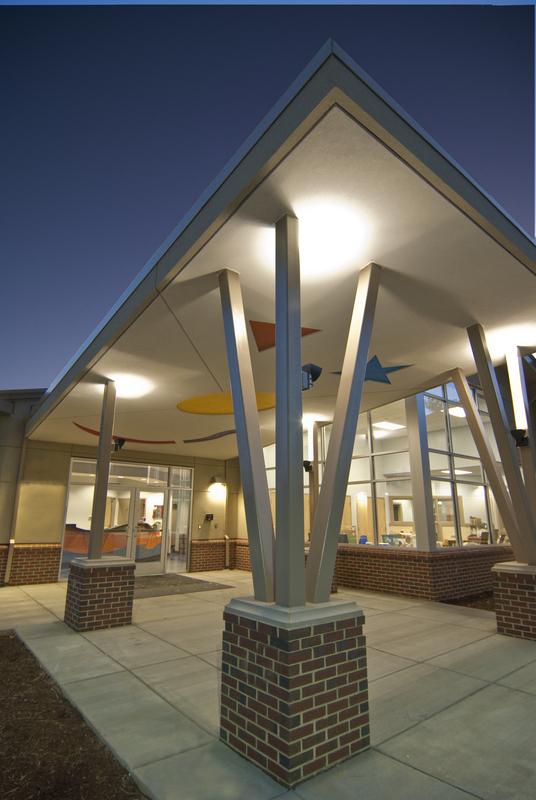 The Thompson Board charged the design team and CDC staff to create a functional, light-filled, colorful, durable and welcoming facility that serves a mixed population of 140 financially disadvantaged, middle- class, physically and/or mentally challenged children (as well as children with no deficits.) 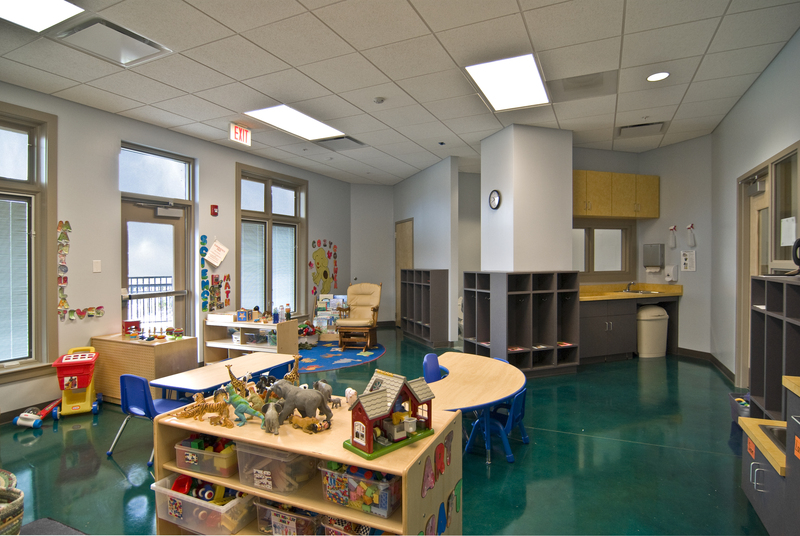 In addition to the 16 classroom CDC, the building houses a full kitchen, support offices and Thompson’s child development outreach programs. 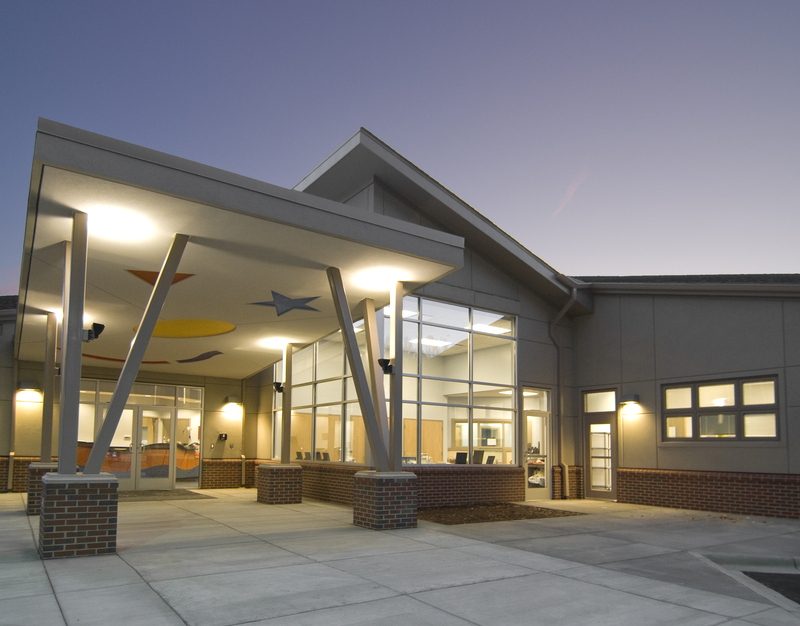 The outreach effort focuses on engaging and training other child development centers across North and South Carolina on how to become highly-rated, child-focused development centers with the intent of reaching a five star rating. The outreach space includes offices, a large waiting lobby, small conference area and a large meeting space capable of seating 150 or more.